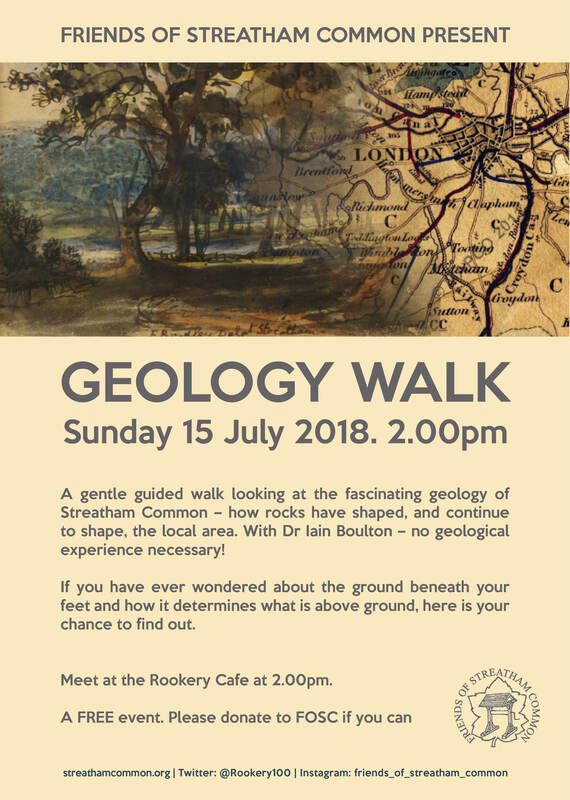 A gentle guided walk looking at the fascinating geology of Streatham Common – how rocks have shaped, and continue to shape, the local area. With Dr Iain Boulton – no geological experience necessary! If you have ever wondered about the ground beneath your feet and how it determines what is above ground, here is your chance to find out. Meet at the Rookery Cafe at 2.00pm.